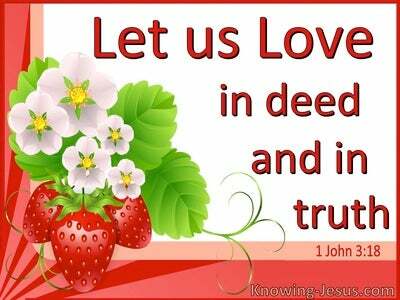 What Does 1 John 4:20 Mean? It was John who wrote: God so loved the world, that He gave His only begotten Son, that whoever believes in Him shall not perish, but have eternal life. And he also reminds us that there is no greater love than this - that a Man should lay down His life for His friends. Here in his first epistle, LOVE is the divine attribute upon which John trains our attention – for God is love, and he that dwelleth in love dwelleth in God, and God in Him. By studying John, we come to know and understand the deep love which the Lord has for us and how important is it that we, in turn, mirror His love in our lives. Love is one of God’s perfect and eternal attributes, and John explains that the one who abides in love abides in God, and God abides in Him. 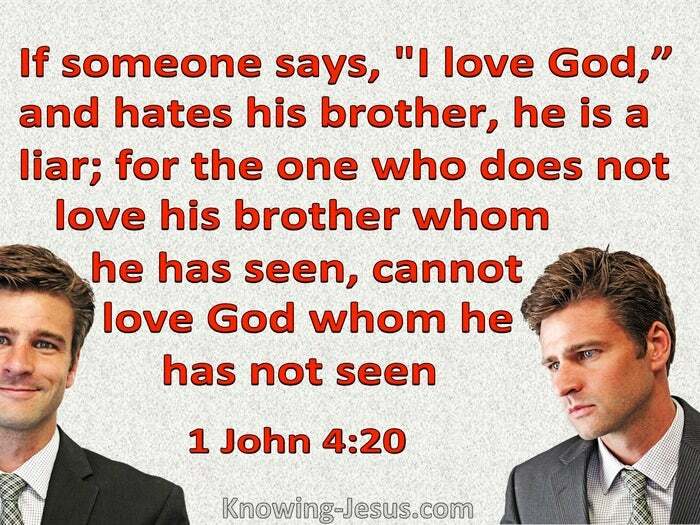 However, John also warns that if someone says, "I love God," and hates his brother, he is a liar; for the one who does not love his brother whom he has seen, cannot love God whom he has not seen. Christ is our example and pattern for life... and the practical outpouring of godly love on others is the outward demonstration of an inward change. Only believers are privileged to have the indwelling Spirit of love in their hearts, and that divine love can only be manifest in the life of one who is born from above. It is only the one that is walking in spirit and truth that can obey His command to love others as Christ loved us. Not only does love cover a multitude of sins, but man’s God-given conscience also exposes the darkened heart that is walking in sin. The more we emulate the Lord Jesus Christ and follow His example of love, the more the love of God is perfected in each of our lives. The more the love of God is allowed to permeate our heart and soul, the greater will be our confidence in the day of trouble, and any fear of judgement or punishment will be eliminated - for as John reminds us there is no fear in love, for perfect love casts our fear. Fear is manifested through the threat of punishment and judgement, but we who have God’s love within are being perfected in love, and can live in His victorious peace day by day. 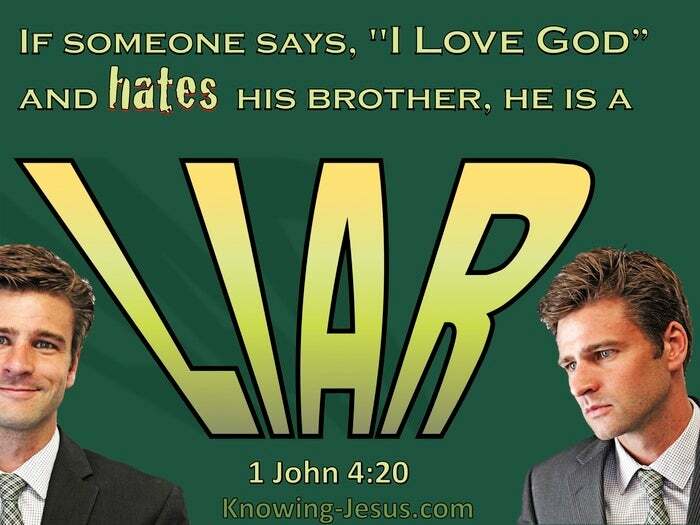 And so, as John explains, if someone says they love God but hate their brother – he is a liar and a deceiver. The person who says they love God with their lips but demonstrates hatred towards another in their lattitude or heart is not being truthful. John stresses, in this verse, the fruitless vanity of professing to love the Lord when there is hatred in their heart for their brother. The more a true believer is being conformed into the image and likeness of Christ, through the process of ongoing sanctification the greater will be his love towards his brother - and his enemy. 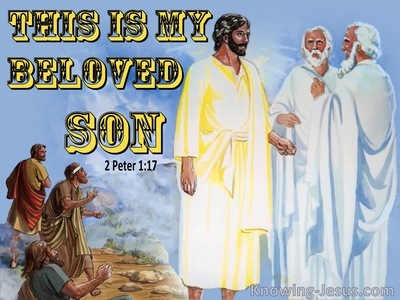 John argues that the closer we are in spirit to Christ the more we reflect the love of God in our words and actions, our attitude and behaviour, our motive and mind… for how can someone say, "I love God," and hate his brother. He can't. 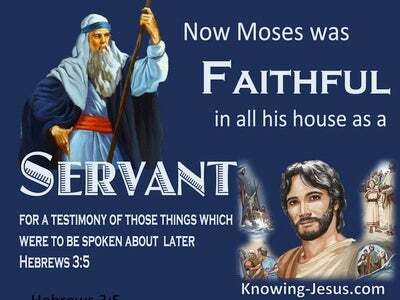 He has identified himself as a liar; for how can the one who does not love his brother whom he has seen, love God whom he has not seen? Through the power of the indwelling Holy Spirit of God, let us love in spirit and in truth – in word and in deed - in motive and in mind.